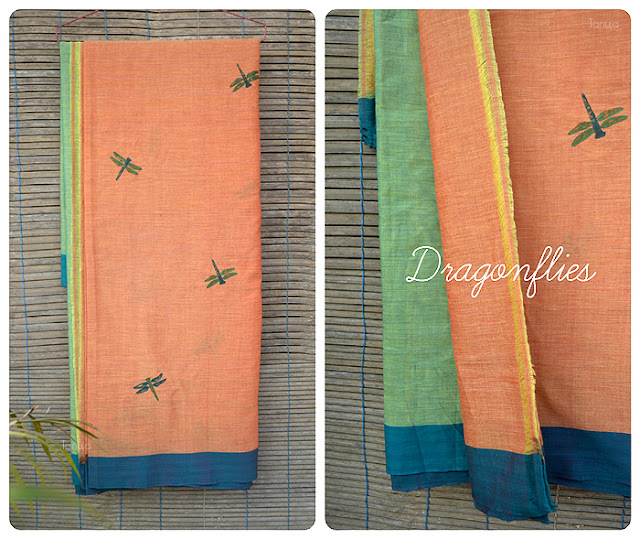 Some beautiful Indian sarees with motifs painted all over it. 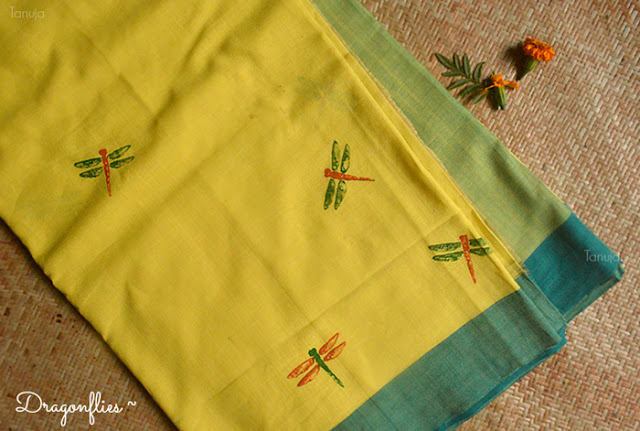 My basic motifs are birds, flowers, dragonflies etc. 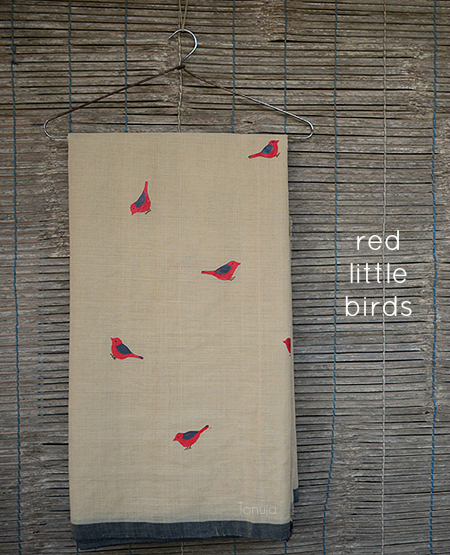 Inspired from nature. 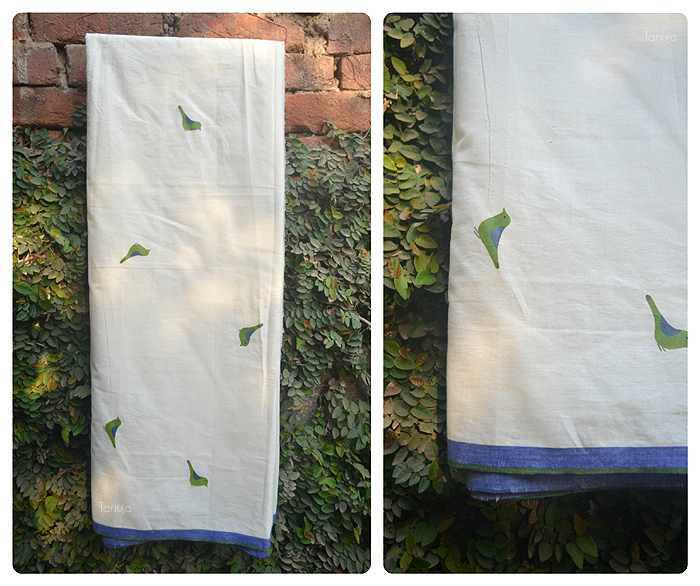 These are cotton and can be easily hand-washed. 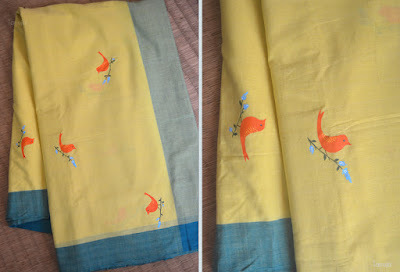 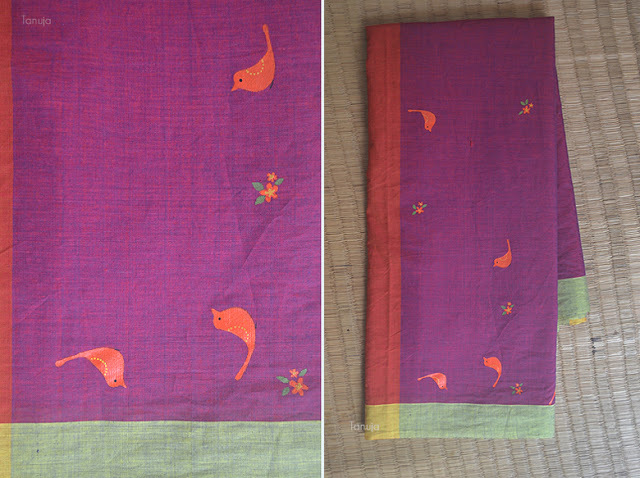 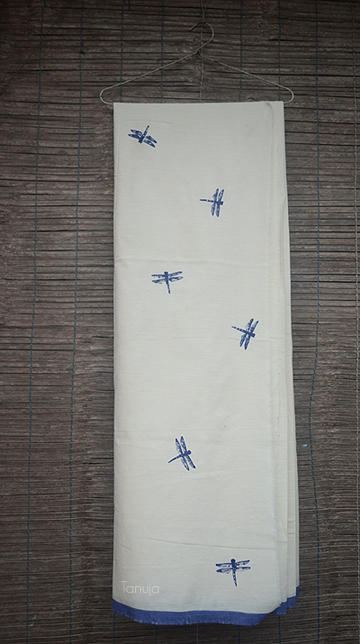 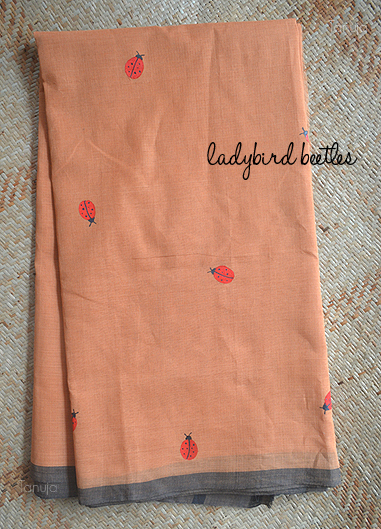 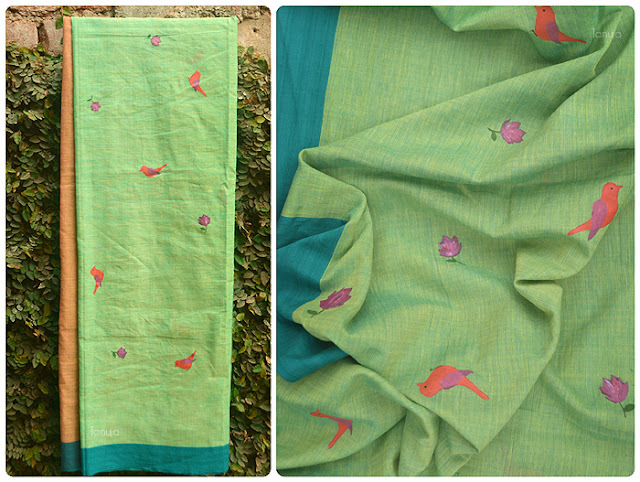 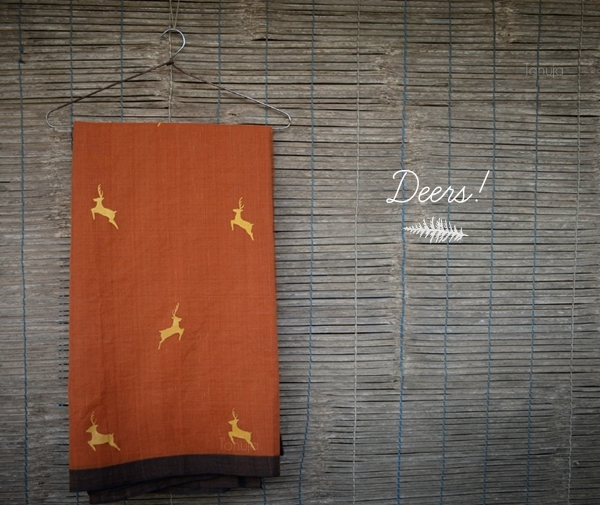 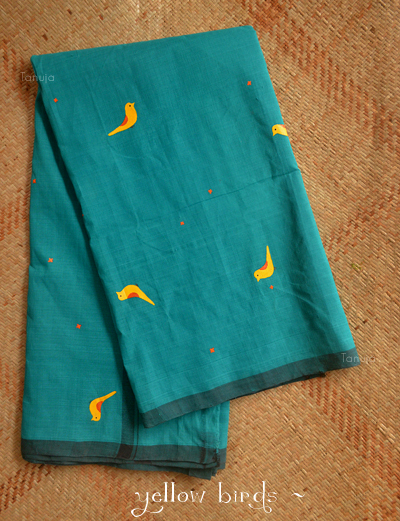 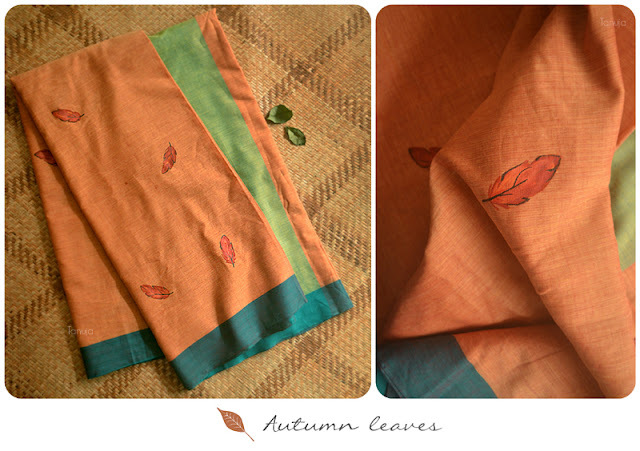 What would be the price if I would like to have your work on a cotton saree I already have? 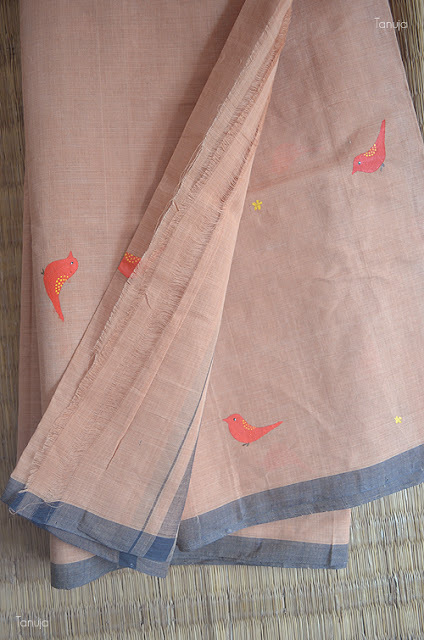 Hi, No Sowmya, You would have to choose from our own available stock.